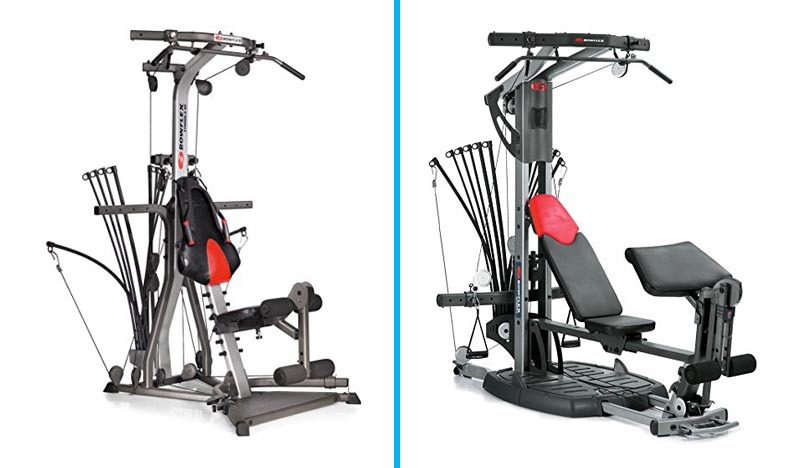 Xtreme 2 SE and Ultimate 2 are two top-tier home gym equipment from Bowflex that are available on the market. Both machines are feature-rich and are capable of keeping you fit, healthy, and in shape. But which one you should choose? This article compares the two to help you make a smart decision based on your specific preferences. 5 Should I Buy the Xtreme 2 SE or Ultimate 2? 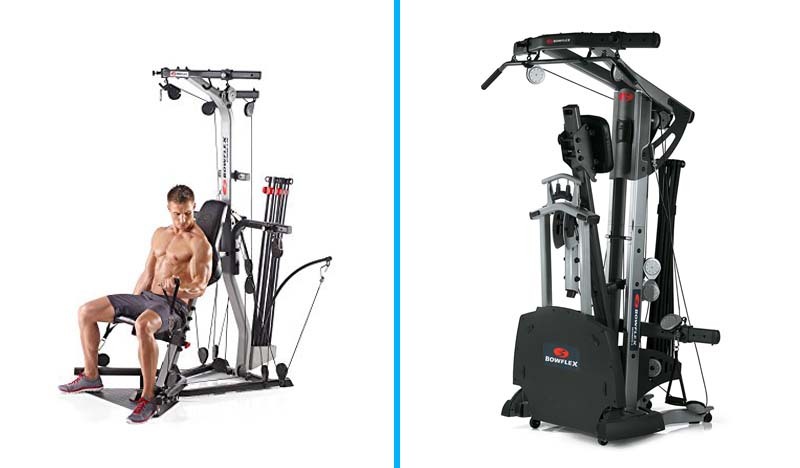 Both Bowflex Xtreme 2 SE and Ultimate 2 are designed for individuals who are looking for a full body workout. They are great choices for people who don’t have resources or time to join a gym. Also Read: Treadmill vs. Cross Trainer – Which one can provide full body workouts? Both home gyms are sophisticatedly designed in such a way that doesn’t require much of a space. Although the Ultimate 2 has a relatively larger footprint, it can be folded. So, both home gyms are ideal if you have limited space available in your home. You can perform a wide range of exercises on either of these models. Xtreme 2 SE offers 70 different exercises and Ultimate 2 offers even more (95 exercises). The built-in exercises are very helpful in keeping you creative in numerous ways to exercise and train your body. The overall quality and resistance of Xtreme 2 SE and Ultimate 2 are unmatched by other types of fitness equipment available on the market. 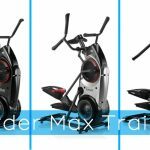 Bowflex Ultimate 2 is relatively expensive as it offers more built-in exercises, can be folded for storage, features 310 lbs. Power Rod from Bowflex as compared to the 210 lbs. Power Rod of Xtreme 2, and also comes with the relatively longer warranty period. Both machines make use of power rods for resistance. You can start with as little as 5lbs and keep on adding power rods as you go until you decide which level is good enough for you. The standard amount of resistance that the power rods on the Bowflex Xtreme 2 SE offers is 210lbs, although this weight is upgradable by up to 200lbs, meaning that an upgrade would get you a resistance of 410lbs. On the flip side, the Bowflex Ultimate 2 comes with a higher standard resistance of 310lbs. It is also upgradable, albeit by only 100lbs but it still matches the maximum 410lbs resistance capacity of its competitor. Because the standard resistance of the Ultimate 2 is higher than that of the Xtreme 2SE, the former wins this round. The number of exercises on fitness equipment such as these basically determines how limited your options are. More exercises may mean more targeted exercise regimes, so it could be a significant factor. The Xtreme 2 SE offers up to 70 exercises, while its counterpart offers up to 95. The difference here is clear, and the Ultimate 2 wins this round. A key feature for users that are moved by variety. There is no winner here. Both machines allow for user weight of up to 300lbs. However, there is hardly a concern about this feature as most users should fall under this weight limit. This is a potentially important factor to consider if you’re trying to make a decision about which one of these two to purchase for your gym. The amount of space that a user has may be limited, so it would be sensible to know the amount of space that the machine would require when fully setup to make sure that there is enough room for it. The dimensions of the Bowflex Xtreme 2 SE are: Length – 4′ 10″; Width – 4′ 1″ and Height 6′ 11″. The workout area is 8′ long and 6′ 5″ wide. The Ultimate 2 has dimensions of: Length – 7′ 8″; Width – 3′ 10″ and Height 6′ 10″. The workout area is 9′ 4″ long and 6′ 6″ wide. There is no winner or loser here. Selection should depend solely on the space available for use. That being said, the Ultimate 2 would require more room than its counterpart. The Bowflex Xtreme 2 SE has the addition of a Bowflex Body Plan inclusive of a fitness guide going for it, which is great. However, the Ultimate 2 has extra accessories including the Ab Crunch Attachment, Accessory Rack, Rod Rejuvenator and the Machine Mat. Again, there is no particular winner or loser here. The decision is based solely on what the user finds more interesting. However, we believe that the Ultimate 2 has more going for it here compared to its counterpart. A new Bowflex Xtreme 2 SE Home Gym will give you a discount, as listed on the Office Website. This applies to a new Ultimate 2 on the same platform, but it would cost you at least $2499.99 if you purchase from other stores. Warranty is a critical factor. Everyone wants to be sure that they are getting some level of protection for their investment, and both machines offer decent options here. The Xtreme 2 SE offers up to 7 years warranty on the machine itself, while the Ultimate 2 offers up to 12 years warranty on the same. Both machines offer a lifetime warranty on the power rods. The Bowflex Ultimate 2 Home Gym is the winner here, thanks to it’s longer machine warranty. Since both Xtreme 2 SE and Ultimate 2 are reliable and high-quality home gym equipment, it is no surprise that both have high ratings from customers. However, there are some minor complaints as well. Read below to learn more. Overall, Bowflex Xtreme 2 SE is rated as a great source for a fitness machine. Most of the customer reviews are favorable. According to many users, the best things about Xtreme SE 2 are that it has a sturdy build, it is very easy to use, and it doesn’t have any complex functions. It is ideal for all muscle groups and is certainly worth the investment. There are a few minor complaints regarding the exercise chart that is provided with Xtreme SE 2. According to some users, the chart is printed on both sides which make the users lose around many of the exercises while they are working out. Bowflex Ultimate 2 also has a very high rating on most online stores it is sold from. According to customers’ comments, the Ultimate 2 is highly useful because it has a wide range of attachment options. Users like its overall high-quality and durable construction. Warranty is another aspect of Ultimate 2 about which most customers are fully satisfied. 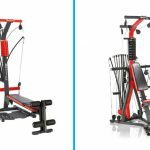 The only complaint regarding the Ultimate 2 from its customers is that it has a relatively larger footprint as compared to other Bowflex home gyms. Exercises – The product has a large number of exercises which is great for variety. The user has a lot of options to choose from and does not have to worry about doing the same exercises repeatedly. Upgradable Power Rod – The default 210lbs of resistance that ships with the product may eventually become an easy challenge for the user, so we like the fact that the manufacturer has made it upgradable. Additional features – The additional of the Bowflex Body Plan with the fitness guide is a nice touch. The user will find these very useful as they look to sources for inspiration or information. Great standard resistance – We like the upgraded standard resistance of 310lbs on this one. There is a reduced need for an upgrade, although that is still available. Muscle-targeted Exercises – This model has an even higher number of exercises available to choose from, and a lot of these exercises are great for targeted training. Exercises such as curls, rows, and pulldowns are targeted at specific muscles. It’s a neat feature. Warranty – The warranty coverage of the model is pretty good. 12 years for the machine and a lifetime warranty for power rods are as good as you’ll get from most manufacturers. It takes some time to assemble, and one may require the services of a professional here. The model is more expensive. You may also interested: How to use whey protein to build muscle mass? Should I Buy the Xtreme 2 SE or Ultimate 2? You are concerned about space requirements. You want the extra accessories it comes with. You prefer a higher standard resistance. You want the extra options that the additional number of exercises provide. A longer warranty is important to you. You prefer the slightly more spacious workout area. In conclusion, both home gyms from Bowflex are great choices for full body workouts. Xtreme 2 is ideal for beginners because it is relatively affordable and offers a good amount of exercises. Ultimate 2 on the other hand, is more suitable for advanced users because it offers advanced features and relatively more exercises.